Adopting a hybrid cloud strategy as a means to achieving digital transformation can be a very difficult endeavor, often IT and the organization they support have processes, procedures, personnel and tools that are not aligned for optimal cloud brokerage and consumption. The most common hurdles to overcome are complexity of disaggregate apps and tools, legacy IT vs cloud competency, confidence that anytime, anywhere, always-on availability is achievable and that the cost of acquisition is affordable. Enterprise IT organizations are expected to deliver a consistent end-user experience but most public and private cloud implementations are not reflective of one another making all phases of the life-cycle; acquisition, deployment, operation, maintenance more of a kludge, than a repeatable, predictable, positive experience. Today we announced the new Dell EMC Cloud for Microsoft Azure Stack, a platform specifically intended to mitigate the risks associated with hybrid cloud adoption so customers can realize their vision for hybrid cloud success and digital transformation. The platform is quite an achievement, as it takes what would normally be a very complicated planning, design, acquisition and deployment experience and makes it genuinely simple by providing a turn-key, IaaS ready platform the day of deployment with PaaS capabilities in its future as development continues. The platform is built on a proven hyper-converged foundation using the Dell EMC PowerEdge R730XD and S-Series switches as a backbone but more importantly the platform has many years of customer inspired design, engineering, testing and update process rigor behind it. Our history of partnership with Microsoft when it comes to cloud and advanced virtualization solutions is extensive and unique. Dell EMC is the only Microsoft Azure Stack partner to collaboratively engineer cloud solutions: CPS-Premium Private Cloud, Private Cloud for Microsoft Fast Track, Hybrid Cloud System for Microsoft CPS-Standard, Ready-nodes and now Dell EMC Cloud for Microsoft Azure Stack. 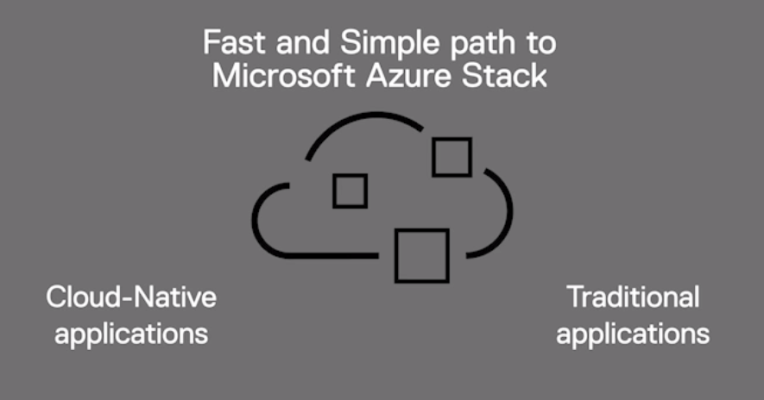 With Microsoft Azure Stack the APIs, tools, apps and services that are behind the firewall are consistent with, reflective of, and interact seamlessly with the customer’s Azure public cloud experience. This means that the customer cloud journey no longer needs to end in disappointment due to unforeseen deployment and life-cycle operation complexity, or project cost over-runs. 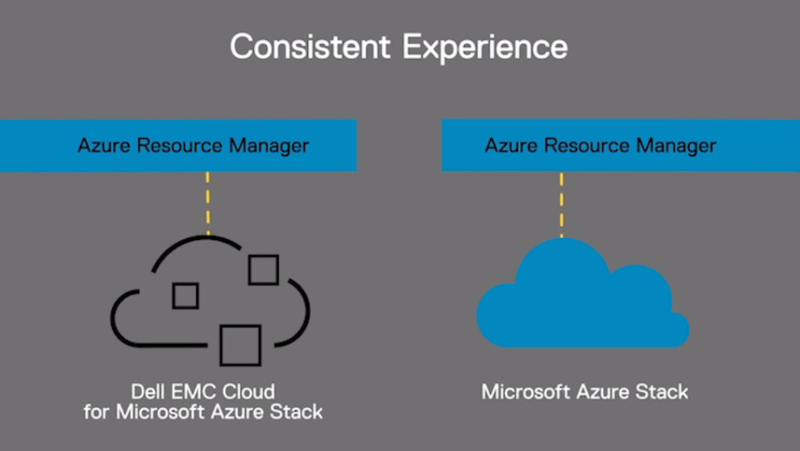 The Dell EMC Cloud for Microsoft Azure Stack delivers on the promise of a predictable, repeatable, Azure consistent experience whether accessing and writing to Azure public resources or those behind the datacenter firewall. For Microsoft Azure customers who want to begin their hybrid cloud journey today using Dell EMC Cloud for Microsoft Azure Stack the place to start is with the “single-node” PowerEdge R630 for development and testing. Dell EMC began making it available in March and will continue to support it over the life of the platform. Customers can use “single-node” to test and develop on generally available software, and gain insight into the administration and tenant experience. They can also explore what DevOps and infrastructure-as-code may mean to them as they discover how Azure Resource Manager templates work. Developers can play with PowerShell and Visual studio on validated hardware without disrupting production environments, and at minimal acquisition cost. Customers can download the TP3 software from Microsoft from their website here and find instructions here. 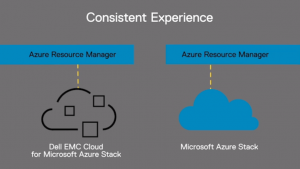 With the Dell EMC Cloud for Microsoft Azure Stack there is no need to learn new tools to support new services implementations or to administrate, automate, and orchestrate lifecycle maintenance and operations tasks. 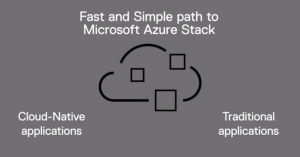 Once a customer understands how to use the tools within Azure public cloud, they know how to use Azure Stack. 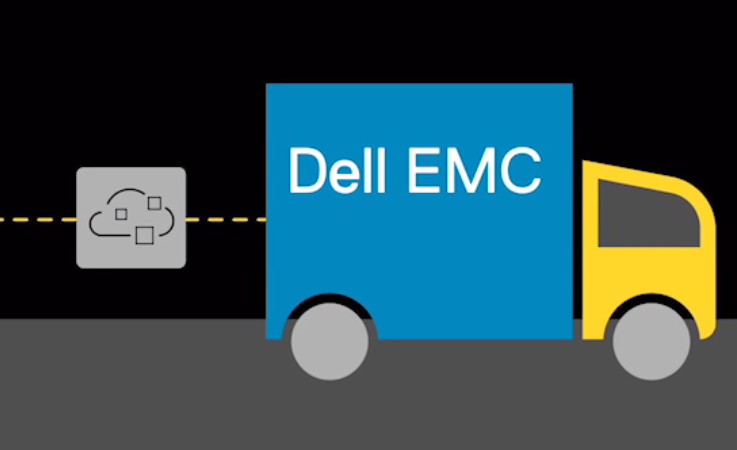 Dell EMC provides add-on services for application backup, recovery, archiving and security, and enterprise level single-contact support. No more kludge, no more complexity. 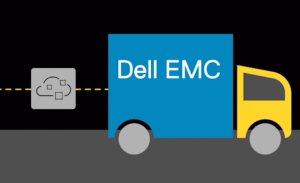 Dell EMC Senior VP, Peter Cutts discusses the announcement and what it means for customers here.